IABC is a global network of communication professionals, with more than 15,000 members in 67 countries. It is a great investment in your professional development at all stages of your career. Membership fees amount to $203 US. This includes a US $40 registration fee. It might seem like a lot, but you don’t have to pay your dues all at once; you can pay in installments. 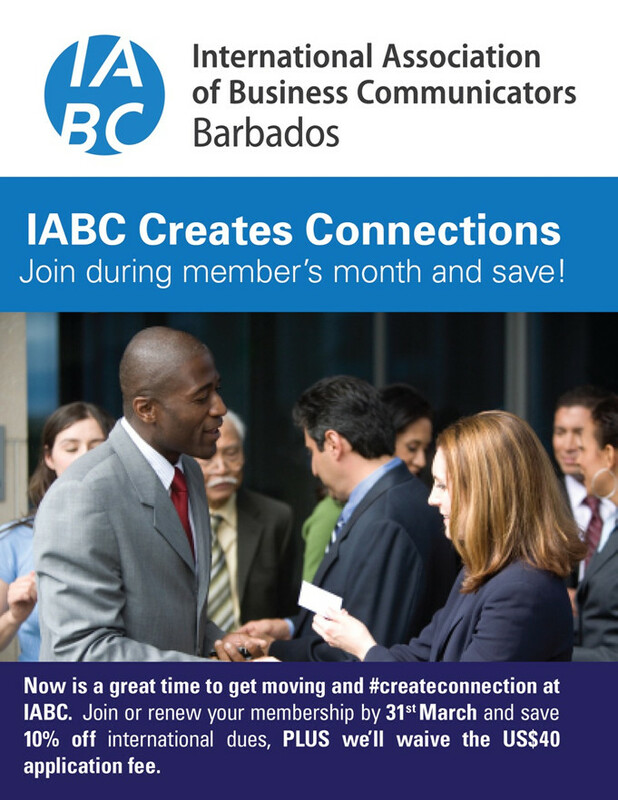 March is membership month for the Barbados chapter, and that means the US $40 registration fee will be waived for new or lapsed member s who join or re-join IABC.